Comparing current satellite photos of Earth with the first Earth shots from the 70’s, the difference is shocking. No longer are there open expanses of clear sky. There are now very few “clear” areas at all as a “haze” now occupies most areas between weather systems visible from the space photos of our planet. According to the latest scientific assessments fully 20 % of the suns rays no longer reach the surface of earth compared to a few decades ago. This scenario is termed “global dimming” . This fact is not disputed in the scientific community and is easily researched and verified under the “global dimming” term. So why don’t we here about any of this from the weather men and the media? The few that have had the courage to speak on this issue have been severely marginalized by the same corporate propaganda machine that controls public opinion on an endless list of issues. For the rest that are silent? It would seem their pay check is far more important than the truth. In the meantime, the decimation of the atmosphere, alteration of all weather, and total toxification of earth’s surface from the clearly visible and constant spraying, continues. LONDON (Reuters) – Large-scale engineering projects aimed at fighting global warming could radically reduce rainfall in Europe and North America, a team of scientists from four European countries have warned. Geoengineering projects are controversial, even though they are largely theoretical at this point. They range from mimicking the effects of large volcanic eruptions by releasing sulphur dioxide into the atmosphere, to deploying giant mirrors in space to deflect the sun’s rays. Proponents say they could be a rapid response to rising global temperatures but environmentalists argue they are a distraction from the need to reduce man-made carbon emissions. Critics also point to a lack of solid research into unintended consequences and the absence of any international governance structure for such projects, whose effects could transcend national borders. A small geoengineering experiment in the UK was recently abandoned due to a dispute over attempts by some of the team involved to patent the technology. In this new study scientists from Germany, Norway, France and the UK used four different computer models that mimic the earth’s climate to see how they responded to increased levels of carbon dioxide coupled with reduced radiation from the sun. Their scenario assumed a world with four times the carbon dioxide concentration of the preindustrial world, which lead author Hauke Schmidt says is at the upper end, but in the range of what is considered possible at the end of this century. 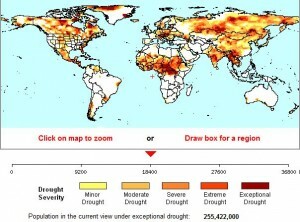 They found that global rainfall was reduced by about 5 percent on average using all four models. “Climate engineering cannot be seen as a substitute for a policy pathway of mitigating climate change through the reduction of greenhouse gas emissions,” they said in the study, published in Earth System Dynamics, an open access journal of the European Geosciences Union. Under the scenario studied, rainfall diminished by about 15 percent, or about 100 millimeters per year, compared to pre-industrial levels, in large areas of North America and northern Eurasia. Over central South America, all the models showed a decrease in rainfall that reached more than 20 percent in parts of the Amazon region. To order presentation-ready copies for distribution visit: www.reutersreprints.com.